Students are introduced to the principle of proportion. Proportion the principle of art that is concerned with the size relationship of one part to another. 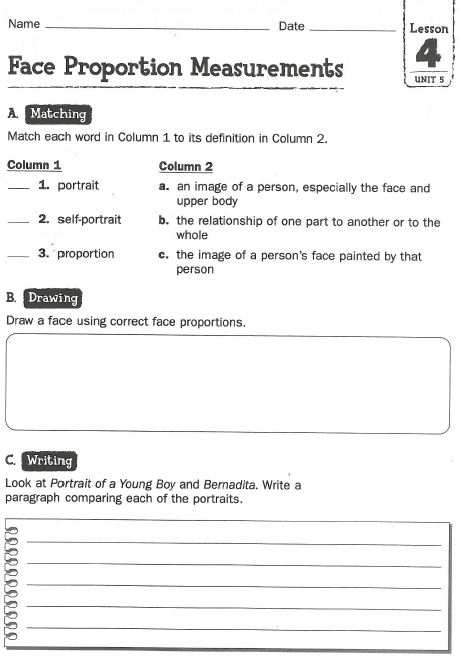 Face proportions are the relationship of one feature of a face the other features. How do artists use color, line, and texture to create mood and show their personality in a self-portrait? How did you use color, line, and texture to create mood and show your personality in your self-portrait?